Razer – a company synonymous with PC gaming – has stepped into the mobile device arena with their all-new Razer Phone. But do they have what it takes to stand out in a cutthroat, hyper-competitive market? This is by no means the first time we’ve seen Android being paired with some gaming marketing. Companies like Nvidia have also been trying their hand with their Sheild devices NVIDIA Shield Tablet Review And Giveaway NVIDIA Shield Tablet Review And Giveaway NVIDIA has released a full-size tablet version of the Shield – aptly named the NVIDIA Shield Tablet – and we've been playing around with one. Read More . This is, however, the first time a company well known for their kidney donating prices and gaming PCs has tried to instill some gaming pedigree into a smartphone. This is also the first device to feature a 120Hz display, which was secretly also HDR capable. It’s the first device to feature Qualcomm’s QuickCharge 4.0 plus. Razer has also boasted about being able to turn said device into a laptop, of sorts. What what? While companies are deciding to opt for more curves, Razer has not. Following their acquisition of Nextbit, it’s clear to see where the inspiration for the Razer phone came from. The former Google and HTC employees, who developed the Nextbit Robin have followed through on their iconic square design. This is going to be somewhat polarizing. The device isn’t as ergonomic as it’s curvaceous competitors, but the blocky Razer Phone can be spotted a mile away. Razer has stated that this design also allows for the large heat pipes used for cooling the device and the enormous 4000mAh battery. On the left are the volume buttons, which unfortunately are not premium to the touch. The dual 12MP cameras garnish the back of the device with the aggressive Razer logo. The perfectly placed power switch and fingerprint sensor is on the right. On the bottom is the USB C charging port and unfortunate omission of a headphone jack. Which brings us to the front of the device. As far as bezels go, this phone is well endowed. Two anti-2017-design bezels occupy the front along with the 8M camera. But is there some method to this anti-pattern? Oh, yes! The trade-off that Razer undertook here is completely understandable. Behind those monstrous bezels are the best speakers, of any smartphone, ever. Completely dwarfing volume and quality of any other flagship on the market, Razer has nailed this. The Razer Phone also features Dolby Atmos audio Dolby Digital, DTS, THX: Surround Sound Standards Explained Dolby Digital, DTS, THX: Surround Sound Standards Explained Although there are only three main players in the surround sound industry, each has their own subsets of technology as it relates to surround. Read More . Rather than being constrained to channels, sounds can be precisely placed and moved in three-dimensional space. The bezels also provide a place to rest your fingers on a protracted gaming session. Without these bezels, you may have been prone to accidentally touching the screen and an uncomfortable gaming experience. All in all, I think it was well worth it. As the famous saying goes, it’s not about the bezels but what’s between them that counts. This is Razer’s focus for this device. The pièce de résistance. The chef-d’oeuvre. The highlight of this device, which is the display. To say that on this display, Android feels smooth would be an understatement. After to switch the default setting to 120Hz max, it’s like that scene in the Matrix when Neo realizes his entire life was a lie. Going back to another Android device just feels slow and lethargic. Everyday tasks like scrolling and moving through the app drawer feels buttery smooth. Android becomes a pleasure to wield and even just day to day tasks like scrolling through a long Facebook feed becomes enjoyable. And this is all before you get to what the display was meant for: gaming. Before we move on to that, understand that this is an IPS display. So it’s not going to be as colorful or as bright as an OLED display How to Prevent Burn-In on AMOLED Screens and AMOLED Displays How to Prevent Burn-In on AMOLED Screens and AMOLED Displays Use these tips and methods to prevent AMOLED burn-in and prolong your smartphone screen or laptop display. Read More . It’s not that the Razer display is not bright, but the range of brightness isn’t as variable as some others. The display also uses a variable refresh rate. So when your phone is just idling the refresh rate tones down, and as soon as it’s needed the refresh rate will scale up to meet demand. This is done to preserve battery life. Speaking of the 4000mAh hour battery, it comfortable handles medium to heavy use getting 5 and a half to 6 hours a day of screen-on time. Having a 1440p display running at 120Hz all while gaming is going to be demanding on any battery. Fortunately, I was almost always left with a charge before the end of the day, even with the max refresh rate set to 120Hz, and high GPS usage. It’s no surprise that the beefy specs in the Razer phone allow it to have great synthetic benchmark scores. Scoring 179718 in AnTuTu, with the Geekbench weighing in at 1963 on single-core and 6599 on multi-core. As this is the first smartphone to sport a 120Hz display, there are relatively not as many games that support that refresh rate just yet. There are some games that come pre-installed which all support 120Hz if you’d like to give it a try right out the box. It goes without saying that phone designed by a manufacturer that makes gaming devices needs to be distinguished in the gaming department. 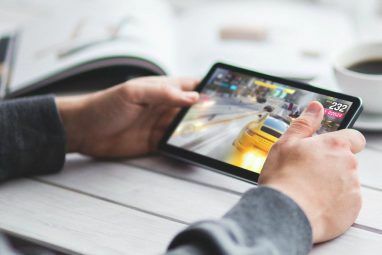 The rock solid specs, ergonomics and brilliant display all come together harmoniously to provide one of the best gaming experiences on a mobile device. The high refresh rate also makes the phone feel very responsive and adds to the overall experience. Now before we commence with a celebratory lap, we come to the worst part of this phone. The cameras. The Razer Phone has a dual camera setup on the rear much like many other flagships of recent. Unfortunately, it doesn’t quite perform like any other phones in its class; it’s somewhat worse. Pictures were quite soft, dynamic range was lackluster, and low light performance is substandard. The native camera app should also be replaced by a third party one if you are going to buy this phone. The same picture quality can be said for the front-facing camera as well. Over and above everything else the shutter lag is really significant and leaves the experience feeling rather dated. The cameras are just not very competitive right now. This might be a deal breaker for some. However, you should not overlook that fact that this device is geared towards gamers and not photographers. If the phone had compromised on the gaming aspect when its unique selling point was gaming, that would be a lot worse. If you’ve been following CES 2018, you may have seen a few announcements that are making headlines regarding this phone. Another debut that the Razer phone is bringing is HDR ready content via Netflix. This combined with the astounding front facing speakers is going to make media consumption untouchable on this device. Another announcement at CES was project Linda. Project Linda is a laptop shell, which has a dock for your Razer Phone. Your Razer Phone now becomes a trackpad or a secondary display for the shell. Project Linda features an RGB keyboard and a larger battery to provide sufficient juice. There’s even a little cutout to allow the Phones fingerprint sensor to be used for login. There hasn’t been any price or release date announced, but it looks really cool. Now, this is conceptual, and I have my reservations as to whether this is going to become an actual product or not, but this does provide insight as to where Razer wants to take this product and potentially attract game developers for supporting more mobile games. This also allows better productivity use cases! Do You Need A Razer Phone In Your Life? If photography is not on your top list of priorities, but media consumption and gaming are, there is little in the way of the Razer Phone. The liquid-smooth interface and overall experience makes this an unparalleled Android experience. If you’re after a more all-rounded smartphone, there are many others in a similar price bracket that are worthy contenders such as the Galaxy S8 or the OnePlus 5T. The most annoying thing about this phone is having to explain to everyone you speak to that this is not the Motorolla Razr that your grandparents used to send you SMSs on. Do you think Razer has what it takes to make Android a true gaming platform? Would you consider project Linda as a one device solution? Can your eyes see faster than 120Hz? Let us know in the comments below. Explore more about: Android Nougat, Mobile Gaming. Do not buy this phone. 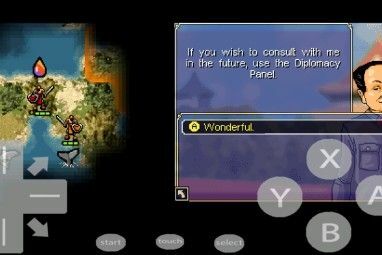 Dedicated camera app freezes and when selecting video mode shuts down app. Also front facing camera keeps opening when trying to scan documents or bar codes with other apps. When trying to transfer files using tethering the tethering keeps dropping. Also cannot use wifi and network mode at the same time you have to disable one or the other. This is probably one of the best gaming phone for gamers and I believe that we wouldn't regret of buying this.Its truly facinating and also PROJECT LINDA is simply the best innovation so far. How do you get notified on the winners? I sure do hope I win. And is this an international giveaway? Once a winnder is randomly chosen by the system, the MakeUseOf team should get in touch via e-mail. Once the winner confirms, they send over their details and we ship! Revolutionary smartphone in gaming world.mostly going to be a dream phone for gamers. I would like to experience the quality of your phone if i would given a chance to win..
Nice phone. But a bit bulky. I love your work , I was always interested in buying different featured phones . And I watch each and every video of yours . Thank you so much. Time to Makeusof this awesome boomslang killer brand! All our competition winners are chosen at random. This allows all our readers to have a fair shot at our giveaways. Best to luck to you and everyone! This phone is pretty goood for my needs. Powerful system. Its not the gaming, not the photos, its about the ram im after. Im poor so i cant go and buy a very expensive phone like the Razer and i really hope i get one in this giveaway cuz its perfect. Every cheapo phone i get usually dies within 6 months to a year cuz i add so much stuff and use so much it cant handle it. It's a well structured review and a nice phone. I don't think that Razer can turn Android into a gaming platform but it's interesting to see how it's going to evolve. This phone is so sick!!!! Great giveaway good luck to Me and every one else . 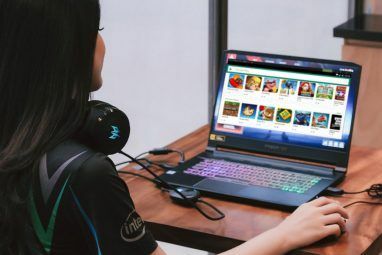 Razer make android a true gaming platform? No lol. Would you consider project Linda as a one device solution? No lol. Can my eyes see faster than 120Hz? I wouldn't know... only experienced 60hz. This is interesting piece of gadget...Love to try it on. Would have to try to see just how immersive a game phone can be. Wow. I am just blown away by how far phone technology has advanced. I feel like I am still using a stone age cave phone .I would really love to blast into the future with a RAZOR, than being stuck in the stone age with my little ole ZTE. Let me win the Razr and I'll let you know if my eyes can see faster than 120Hz. Amazing giveaway! Thanks for the opportunity and good success to everyone! This is a wild giveaway and a really cool phone/computer from razer!!! the best giveaway goodluck for everyone!!!!!! 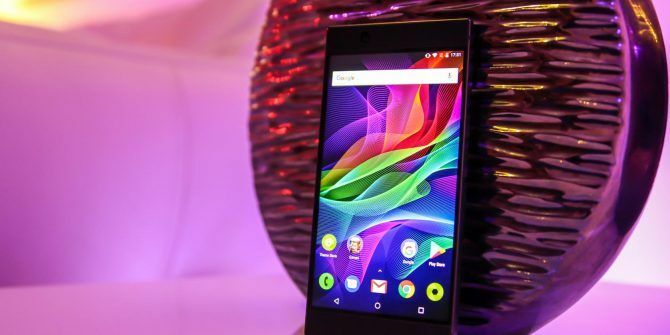 Excellent Review on the latest super innovation Razer Smartphone . I loved the way you presented the detailed scope of every feature in it and it’s looking extremely stunning in high design and specs ? Keep up the work and stay blessed dear ? Wow such an amazing review and giveaway. Wow such an amazing review and giveaway from makeuseof . I would like to win the razer phone. It is almost perfect phone cause it is having a massive battery and dolbby sound Atmos is the cherry on top of cake. Looking for a very productive experience with this device. A gaming freak like me would love to win this beast.. Good luck everyone. My eyes can see faster than light itself. This device is amazing, I've always thought android gaming would be taken more seriously if a company focused solely on it. This design encompasses everything. ???? I am getting the Razer phone today. Not the one I used in the 80s. I am a grandpa. Lol. Project Linda will be the best I HOPE. Please Razer do this. With the camera update the phone works awesome . I've heard . Will let you know. Thanks for the great artical. Best phone I've ever used. Srsly.